 Mark Stokes, Dean Cheng, “China’s Evolving Space Capabilities: Implications for U.S. Interests,” Project 2046, 26 April 2012, pp. 18-19. Major Mark A. Stokes, “China's Strategic Modernization: Implications for US National Security,” September 1999, pp. 165. “China's Aerospace and Defence Industry: Appendix A – Industry Directory,” Jane’s Information Group, 5 December 2000. John W. Lewis and Xue Litai, “The Missile,” China’s Seapower: The Politics of Force Modernization in the Nuclear Age (Stanford: Stanford University Press, 1994), p. 170. Mark Stokes, “China’s Evolving Conventional Strategic Strike Capability,” Project 2049, 14 September 2009, pp. 83. 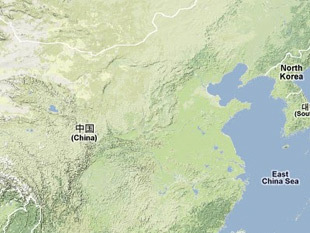 “China Develops New Rocket Engine,” Xinhua News Agency, 14 June 2012. Mark Stokes, “China’s Evolving Conventional Strategic Strike Capability,” Project 2049, 14 September 2009, pp. 83-86.